How hydrating skin boosters can refresh your skin. Hydrating skin boosters plump up the skin in a way that creams simply cannot do. Targeting dehydrated crêpey areas such as the face, neck, décolletage and back of hands, hydrating boosters moisturise the skin from deep within. Restylane Vital is our hydrator of choice as it has natural hydrating properties and is clinically proven to prevent fine lines from forming. Skin boosters are ideal for clients who want to act on the first signs of ageing and improve the overall condition of the skin. At Persona Cosmetic Medicine, we believe in taking a personal yet professional approach to help you achieve the results you’re looking for with Botox. 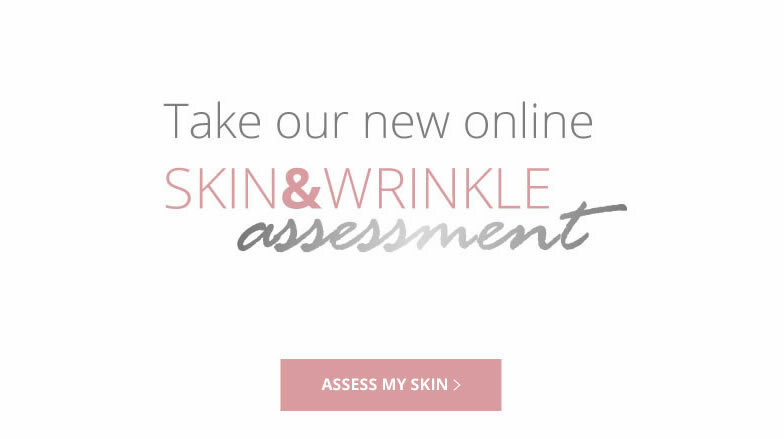 During your free consultation, we will advise on the areas we can target to help correct concerns and maximise anti-ageing effects. You will have the opportunity to ask any questions or go through any details you are not sure about. Our expertise and experience allows our medical team to combine Restylane Vital Skinboosters with any of our other injectable anti ageing treatments to improve overall hydration whist targeting specific deeper lines for a truly rejuvenated smooth appearance. In addition our aestheticians can recommend a tailored home care regime as well as recommending regular skin health maintenance treatments to ensure long lasting results. Being the medical director I try all of the treatments before I introduce them to our treatment menu. I try, time permitting, to have a Vital treatment 3 times a year just to boost & replenish my skin. I find it makes such a difference to my homecare results as well the other tweaks I have here & there. I often recommend Vital to my clients as I really notice a difference in their results with their other procedures, especially the length of time it seems to make them last. I am very pleased with the Vital filler in the hands. I’ve had two sessions which has improved them a lot and I don’t feel like I want to ‘hide’ them up my sleeves or in gloves now! My hands are very thin so the veins were very prominent, but have now receded back and look plumper and smoother. I am recommended one more treatment which I’ll have in the spring to complete my treatment. Just to add that there was very little discomfort during the treatment or bruising afterwards. What are Hydrating Skin Boosters and how do they work? Whilst dermal fillers replace volume to specific folds, lines & wrinkles, skin boosters work to treat the overall condition of your skin. Hydration is fundamental to skin health, tone and elasticity and topical creams only temporarily moisturise the surface layers of the skin. Restylane Vital ad Juvederm Hydrate improves the structure, firmness, and elasticity of the skin by providing long lasting hydration deep within the skin to replenish the skins own hyaluronic acid to restore a natural healthy complexion. Which areas can be treated with Hydrating Skin Boosters? Hydrating Skin Boosters revitalise the areas of the body that are susceptible to sun and environmental damage such as the face, neck, chest and backs of hands. You may already invest in high end medical grade home care and clinical anti ageing procedures. Hydrating skin boosters work in harmony with your existing regime to boost results and longevity. Our experienced practitioners will advise on the best product for you and your lifestyle. We can offer a one off treatment but usually recommend a course of 3 sessions for longer lasting more visible results. Results are seen immediately with skin looking revitalised. Results will usually last around 3 months with a single treatment and up to 6 months with a course of treatments. Your medical practitioner is available throughout all stages of your treatment so if you have any concerns please do not hesitate to contact the clinic. Results may vary as each client is different but you are welcome to arrange an appointment to see your treating practitioner at any time to ensure you are happy with your procedure. Are Hydrating Skin Boosters safe? Restylane Vital is extremely safe and side effects are temporary and minor. They can include slight redness, possible swelling and bleeding at the injection site with a small chance of localised bruising. How should I care for my skin after Hydrating Skin Boosters? •	Do not use sun beds or expose treated area(s) to direct sunlight for 24 hours. •	Do not take very hot baths / saunas / heat treatments 24hrs pre and post treatment. •	Wear a broad spectrum SPF over the exposed treated area(s) daily. *Please note, if you have regular facials inform your beautician / therapist so that she is aware of recent procedures and avoid professional treatments for 2 weeks post procedures. Where will I have my Hydrating Skin Boosters? 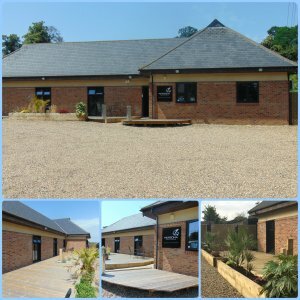 Our Restylane Vital & Juvederm Hydrate procedures are carried out by our registered medical practitioners and we are located on the outskirts of Bexley Village down a private, tranquil lane just off the A2 and close to Bexley train station. We are just 5 minutes from Dartford, Blackfen, and Bexleyheath, and only a short drive from Sidcup, Pettswood, Chislehurst, Orpington and Bluewater shopping center. We offer plenty of free parking and the privacy of our setting gives you complete discretion.